All natural honey will crystallize at some point, and some crystalize faster than others, but there are some interesting factors about crystallized honey that are worth pointing out. I figured I would take the opportunity to explain a few things about honey and why it does what it does. Honey is in simple terms a super-saturated sugar solution like the kind we used to make rock candy with. The actual water content of honey is below 18% which makes it a very thick syrupy substance that we know and love. 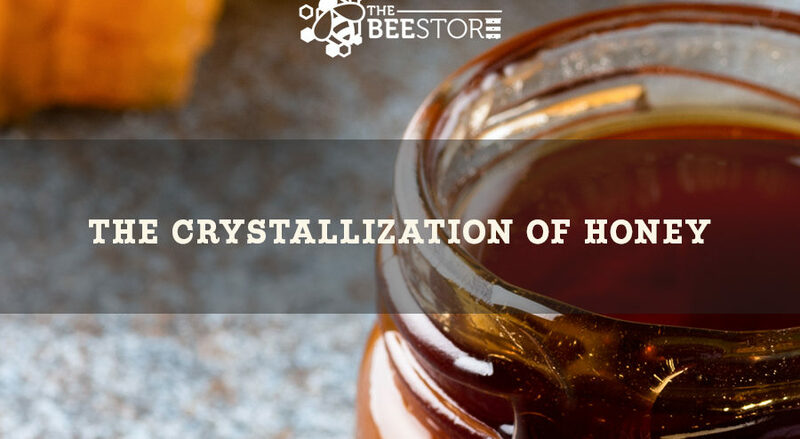 Because of the low water content and high sugar content, honey tends to crystallize like any other supersaturated solution will do. Honey is about 95% sugar, but not the same sugar we use in iced tea… but kind of. Regular, granulated sugar is almost all sucrose, which is formed when two simple sugars are joined. Those sugars are glucose and fructose. 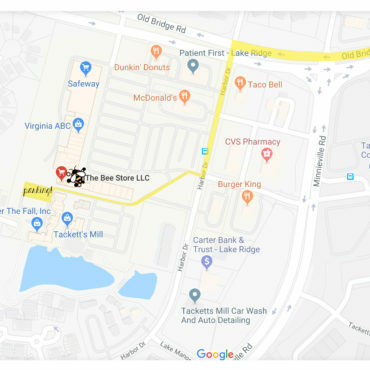 In honey, glucose and fructose exist together but separately, along with all of the other bee stuff like enzymes, minerals, proteins, salts, and flavor components. When bees make honey, they do so in the comfort of their toasty hive with an average temperature of around 90F. The bees transform nectar into the supersaturated solution we call honey at a temperature that keeps everything in proper balance – bonus word of the day… homeostatic. When we remove honey from the hive and store it in cooler temperatures, the less stable sugar, glucose, tends to come out of solution. Glucose is less soluble than fructose and therefore is the culprit in the crystallization process. As the glucose molecules come out of solution, they tend to cling to dust or pollen particles in the honey and sink to the bottom of the bottle or jar. This is why we often see crystallization start at the bottom of a container. Understanding that glucose content is the main cause of crystallization, it’s neat to know that different flowers, thus different nectars, have different glucose contents. Tupelo honey, for example, has very high fructose levels making it one of the least likely to crystallize, while clover honey has very high glucose levels making the process much quicker relatively. By the way, fructose is much sweeter than glucose which accounts for the various sweetness levels in honey. Van Morrison never sang a song about clover or wildflower honey! Temperature has a big impact on crystallization too. Honey stored at temperatures below 70 degrees will crystallize much faster than honey stored at 85 degrees. In fact, the optimum temperature for crystallization is around 55 degrees! This time of year as temperatures are cooler, even inside of pantries, honey is crystalizing faster. We see it here all the time. The process of crystallization has almost no impact on the quality of the honey, only the texture and color. Crystallized honey is rather grainy and usually a bit lighter in color. It’s still perfectly fine to use and tastes the same. Now, if you really don’t want crystalized honey, just warm it up. Warming the honey will put it back into that homeostatic condition of balance. Just run hot water into a bowl and set your honey in it. If you have a glass jar, set it in a saucepan of hot water. It might take a bit, depending on how crystalized it is, but with a little patience, it will be good as liquid gold again! Fun fact – Creamed honey (aka whipped or spun honey) is honey that goes through a process of controlled crystallization. There are no other ingredients. The faster honey crystallizes the smaller the crystals, ergo the smoother the end result.